Honeybees are incomparable; their honey is one of Nature's greatest riches attracting honey-hunting humans for millions of years dating back into the Paleolithic period as far back as the Old Stone Age. In fact, honey contains water-soluble B1, B2, B6, pantothenic and nicotinic acids, vitamin C -- as well as high amounts of fat soluble vitamins E, K and A. Honey also provides us with essential minerals: calcium, phosphorus, potassium, iron, copper, manganese, magnesium and sulfur. Some of these minerals in the specific concentrations found in honey mimic the concentrations of blood serum. Therefore, honey metabolizes easily, can be an important source of essential nutrients; and with all its sugars, it's an excellent, healthy source of caloric energy. The shamans also knew that honey was filled with potent healing properties. Modern science corroborates their ancient knowledge: Honey contains over 200 substances. It turns out that bees secrete a glucose oxidase enzyme that assists in converting nectar into honey. Along with oxygen, the glucose enzyme splits the glucose molecule into water and hydrogen peroxide. Due to its hydrogen peroxide and glucose oxidase content, honey is a powerful antiseptic. High amounts of malic, citric, tartaric, oxalic and other organic acids combined with enzyme catalase and peroxidase give honey its renowned antibacterial properties. New Zealand's manuka honey carries high levels of a chemical called methyl-glyoxal, which stops bacterial infections including drug-resistant, hospital-killing bugs e.g. Staphylococus aureus. Manuka honey kills microbes even after the hydrogen peroxide is gone because it packs powerful medicinal bee enzymes that disrupt cellular activity in germs. Mayan shamans revered the stingless honeybees and successfully treated cataracts, conjunctivitis, chills and fever with honey-based medicines. By the way, with over 80 percent sugar content and its natural acidity, honey creates an inhospitable environment for single-celled microbes that form infections. 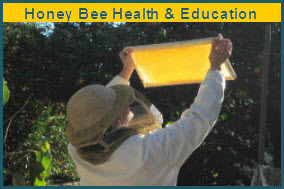 That's why some modern bandage companies line their products with diluted traces of honey. Rapid climate change is not only bringing us snowstorms like Nemo, superstorms like Sandy or weeks on end of summer rains like those experienced last year in the U.K.. Climate change is also bringing intense and prolonged droughts like those currently enveloping Australia, Spain,theUnited States and elsewhere. In 2011, Western Australian beekeepers faced a drought that ushered in the worst honey crop in more than three decades. The Australian drought persisted; in 2012 Victorian beekeepers endured their worst honey season on record. Plants stop producing flowers during intense droughts exacerbated by searing heat-waves (like those occurring around the globe, today). Without flowers, bees have no food (nectar and pollen), and they die. And without bees most plants cannot cross-pollinate or produce seeds. It's a frightening glimpse of a potential uncoupling of one of Nature's most important biological land-based partnerships: Flowers and Bees. According to the Australian Federal parliament inquiry: Bees may be facing a major food crisis. The Australian government is asking farmers and city gardeners to help bee populations survive by planting bee-friendly gardens without using any insecticides. In 2012, New Zealand's manuka honey production tumbled by 60 percent whilst its price spiked by33 percent. University of Canterbury scientists are calling for a significant reduction of insecticides (all neonictinoids), and for more uncultivated bee habitat and nesting sites to provide safe food sources amongst agricultural landscapes. Bees directly contribute $5 billion to New Zealand's economy, annually. Continuous summer rains and lack of flowers pummeled Britain's honey production in 2012 by 72 percent -- most bees never left their hives, instead they shivered and starved to death. Honey production in Spain, the 12th largest honey producer on the globe, also felt the wrath of drought; down by a whopping 70 percent in 2012. 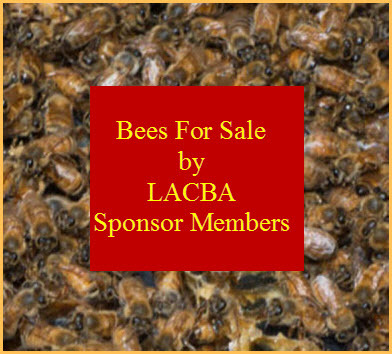 Bees are responsible for pollinating most of our foods (including beef and dairy), the cotton we wear, 44 million pounds of beeswax and 2.65 billion pounds of honey, that we eat each year, globally. We are running out of time to combat more than 85 million metric tons of greenhouse gases emitted daily: Earth's bees are clearly showing scientists that they cannot conduct their business of pollinating and making honey -- as climate disruption escalates, quickly. It's time to embrace efficiency and innovation, and the dictum of the London School of Economics co-founder George Bernard Shaw: "Progress is impossible without change, and those who cannot change their minds cannot change anything."